Among my favorites are the quiet summer afternoons where the whole world seems to take a deep breath and relax. 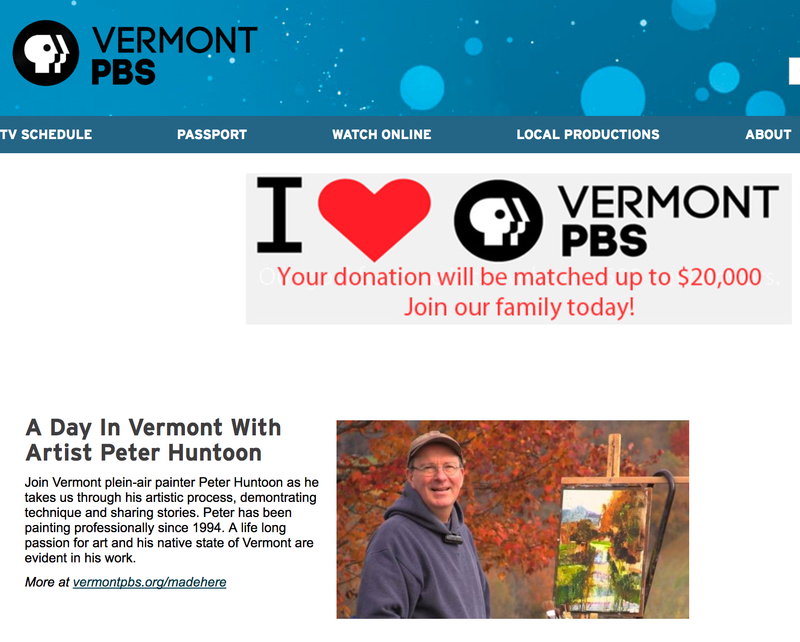 You can relax and watch the “world premiere” of A Day in Vermont this coming Thursday, June 8, on Vermont PBS. 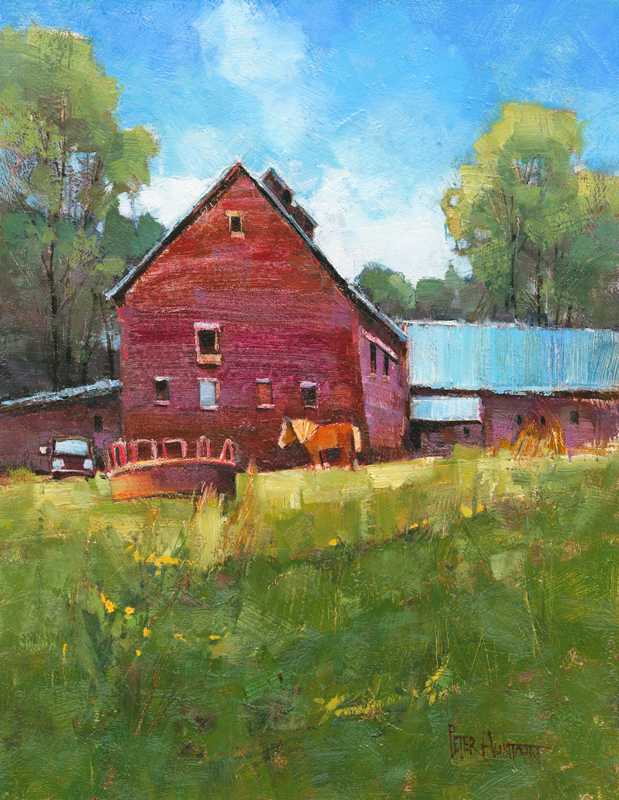 I’m thrilled and honored to share this Vermont art experience with so many. It looks like this lucky pony has some delicious grazing ahead of him! Thank you Peter! so beautiful! I’m going to try VT PBS on line down here in Georgia. I hope that by clicking on the “Watch on Line” tab I’ll be able to do that. Yes you can, thanks George! It will be available via their Youtube channel anywhere, once it airs on the cable channel. Thanks Deanie! 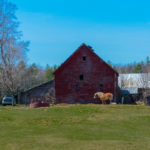 Brings back so many memories of peaceful days in Vermont. Will try to catch the show online, if possible. How much I appreciate the stories you continue to tell with brush and paint. 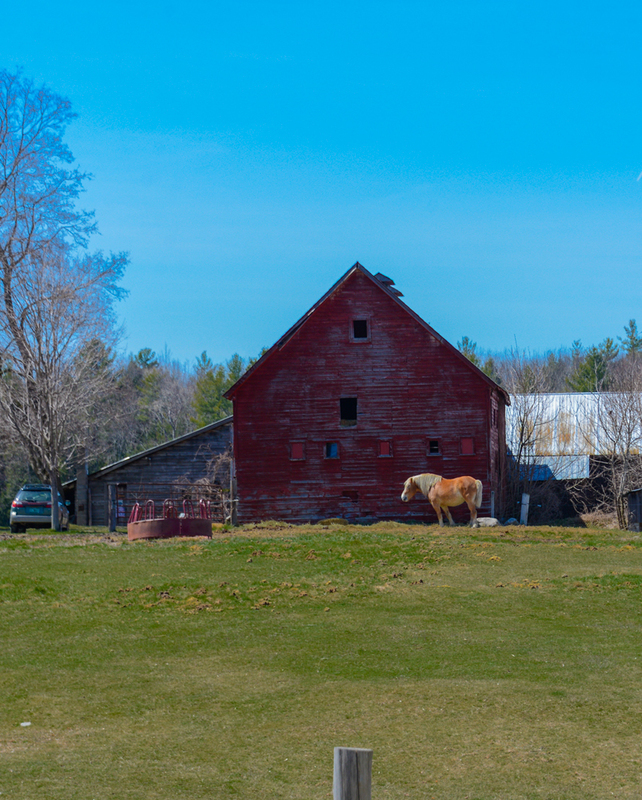 The subject photo speaks of a quiet Vermont barnyard in early spring……but from there your art eloquently reminds us through the exaggerated sag and sway of the barn and the quiet horse soaking in the sun’s warmth that a hard winter has barely passed, and that, in the briefest of time, the foliage on the trees will be mature, and fields will sway with tall grasses dancing to the bob-o-links’ song. Congrats on adding PBS to your list of accomplishments. I’ll be watching the series. I’ve been thinking a lot about how fast time passes lately, Brian. Not sure why. Thank you! Peter, I have added this to the calendar for Thursday night and look forward to viewing. Proud to say I went through school with you and saw your talents emerge through out the years. Well done sir, well done! Thanks very much Chris, in some ways, I feel like we’ve come a long way since 1980. In others, (hopefully in the best of ways), I’m still the exact same kid. Thanks for all your support Cynthia! I will attempt to watch down in Jersey – I’d much rather be in my favorite place of all – Vermont – to see it! Thank you Alison, it will be on Youtube if you can’t get the channel. You gained two new fans this evening, Peter Huntoon! My sister and I watched your new series on PBS and were captured by your techniques and your wonderful demeanor. From one native Vermonter to another: thank you for making us proud! Well done! Thank you Renee, I love connecting with new art friends. Glad you enjoyed the PBS program! Again, nice painting! Watched you on PBS…congratulations!